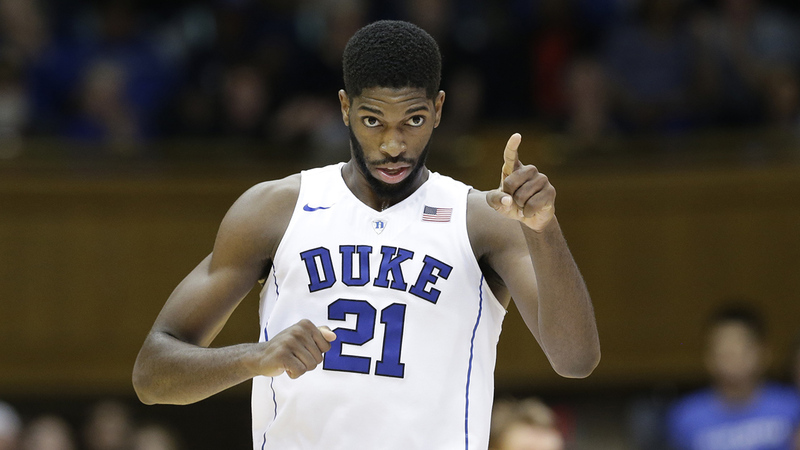 DURHAM -- Duke says forward Amile Jefferson will be out indefinitely with an unspecified right foot injury. Coach Mike Krzyzewski announced the injury Monday in a brief statement issued by the school. Krzyzewski called the injury "unfortunate, to say the least," but praised Jefferson as being "strong in both person and character." Jefferson - the leading returning scorer from last year's national championship team - has started all nine games this year while averaging 11 points and 10 rebounds for the seventh-ranked Blue Devils (8-1). They return from a 10-day break for exams to play host to Georgia Southern on Tuesday night.